Well our first blog and its an important one, its that time again, Christmas, where everything becomes rushed, everyone needs to get to their loved ones for the holidays and this puts a strain on the transport network. If you are flying in to Gatwick Airport and require a reliable taxi company to be there on hand for a meet and greet, then you have come to the right page. We have a fleet of cars that will surpass your expectations. Based in Reigate and Redhill, we operate our local service on top of our Gatwick Transfer service. We have a large client base of existing customers that use our taxi transfer service and we also take on new customers as a one off all the time. 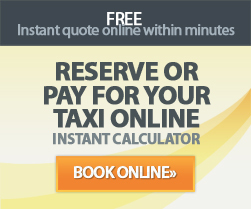 If you are looking to book your Reigate Taxi, then make sure you book it early to avoid disappointment. Taxi Reigate and Redhill provide a local taxi service between Reigate, Redhill, Gatwick and most of the suburbs of London.